I would like some more Kiss Me... The Snakepit, Torture, One more Time maybe, The Perfect Girl, Maybe Last Dance from Disintegration! The never played hasn't made an appearance yet though so maybe they will throw This Twilight Garden or Chain of Flowers in! Okay thanks. I guess we will see. Some really nice stuff last night (Elise, High, Deep Green Sea). If you wish you can answered the post at the "quote button"! Do you need a flash light? She said she doesn't have her extra battery with her tonight though so we may only get the highlights! It will be nice too. Javi is present...good to see you again! 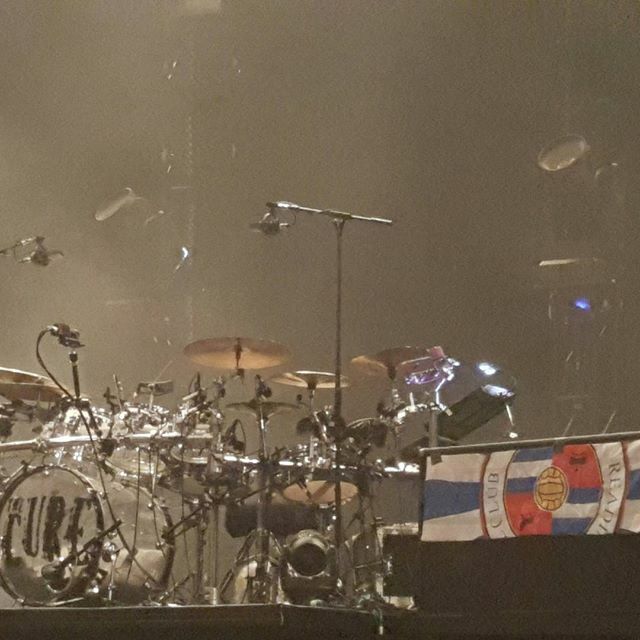 The Reading flag is sideways I see! !